Remember when you needed an expensive, high-spec video camera, chunky tripod and pricey sound booth to capture a special moment or event? Thanks to super-clever developers and smart technology, those days now behind well and truly behind us – now all you need is a smartphone, a video sharing app and an internet connection to create a visual masterpiece you can share around the world. Viddy: Available on the iPad, iPhone and Android devices, Viddy is probably the most well known video sharing app on the planet at the moment. Quick and incredibly easy to use, Viddy allows you to post videos of up to 15 seconds in length on all the major social networks. Very similar to Instagram but for videos not images, Viddy allows you to edit your footage, change the colours and add tints and effects. Valuable? Just a bit! As of May 2012, Viddy boasted 26 million users worldwide and was valued at… wait for it… $200 million! A likely candidate for Facebook’s next acquisition, we’d say! SocialCam: Next up, it’s SocialCam. First released in March 2011, SocialCam is extremely similar to Viddy in that it allows you to quickly and easily upload footage to your social networks and allows you to add filters and effects to jazz up your mini movie. 100% free SocialCam is currently available to download on the iPhone and Android phones but, unlike Viddy, it doesn’t limit the length of the videos you can upload – this makes it a better app for amateur video and documentary makers. Valuable? Yes, but not as much as Viddy ,despite claiming to have more visitors (54.7 million active users a month according to AppData). Earlier this month, SocialCam was purchased by Autodesk for the princely sum of $60 million. 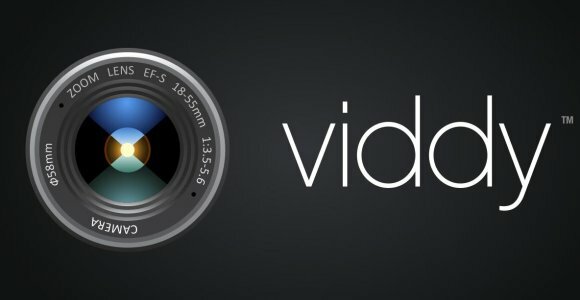 Color: While Viddy and SocialCam focus very much on the uploading and sharing of video, Color’s focus is very much on real-time broadcasting. Popular in the US thanks to its partnership deal with Verizon, Color allows users to stream a 30 second live broadcast from their smartphone straight to their social networks – a bit like a mini feed which their friends can view in real-time. Although Color originally started out as a photo-sharing app, it’s now reinventing itself as the video-sharing app to watch out for. Like the sound of it? You might be out of luck! Color is free to download but is currently only available on Verizon Android smartphones in the US. Klip: Last but not least is Klip. One of the newest contenders in the video-sharing app market, Klip borrows bits and pieces from other social networks and focuses very much on the sharing side of things. Klip allows you to upload video and ‘tag’ it using a Twitter-like hashtag feature – this makes it easy for other ‘Klippers’ to find your videos and ‘re-Klip’ it to other users – told you it was like Twitter! 100% free, Klip is super-clever. It allows you to start any video on a web page simply by shaking your smartphone and features adaptive video streaming which adapts your streaming to your bandwith once every 4 seconds. Although Klip was only formed in April 2011, it has some of the biggest names on board from Google, YouTube, Yahoo! and Apple – not bad, right?! Amy Edwards is an experienced online content manager and is currently working for the online digital jobs board Bubble Jobs.